When the weather starts getting crisp, it’s time to pull out those recipes for chicken soups and stews. Do you find yourself searching for those recipes your family loved last year? Me, too! This is why I thought I’d pull together a few of my favorite recipes for chicken soups and stews. Pin this to Pinterest so you have it for later! Coming home from a long day at the office or school to the scent of a hearty stew just makes everything better. Don’t you think? I hope you find a few recipes here that your family asks for again and again. 1. Moroccan Chicken Soup | Food, Fun & Faraway Places | With just enough spice to kick it up a notch, this soup is perfect for supper and so good heated up the next day. For those of us counting Weight Watchers points, it’s only 3! Bonus! 2. Crockpot Creamy Chicken Stew | Lil Luna | Filling the Crockpot is comforting in itself. Knowing I won’t have to stress at the last minute about what we’re eating just makes my day go better! And what could be better than creamy chicken stew? 2. 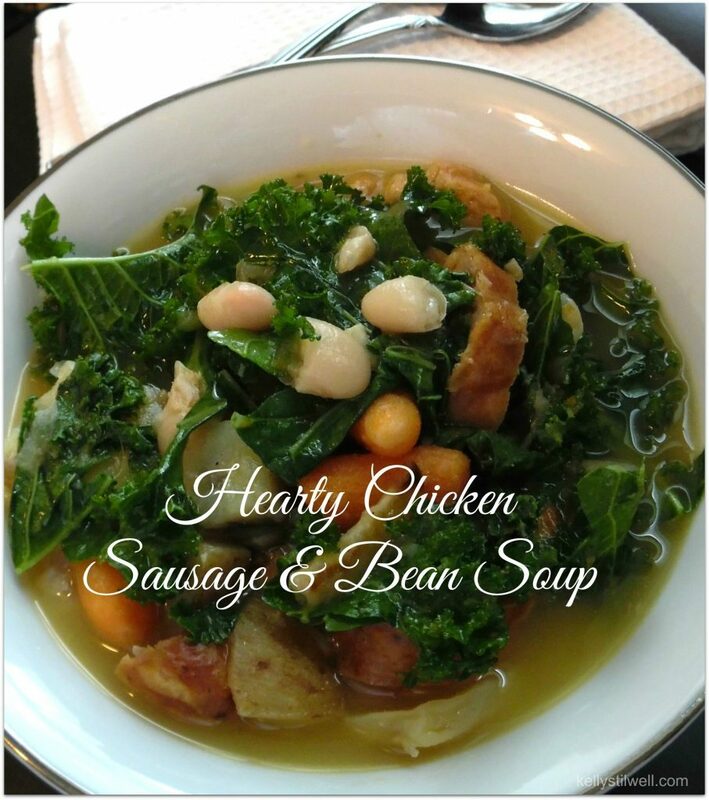 Easy 30-Minute Kale, White Bean, and Chicken Soup | Averie Cooks | Kale is all the rage, and with good reason. It’s one of the healthiest veggies you can eat. It’s absolutely delicious with beans, too. 3. Slow Cooker Chicken Stew | Yellow Bliss Road | Another recipe for chicken stew in the slow cooker! This way you can change it up now and then. 4. 30-Minute Asian Chicken Soup | How Sweet Eats | I love every Asian recipe I’ve ever tried. Add that this one only takes 30 minutes and I’m in! 5. 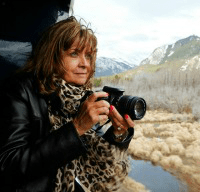 Autumn Harvest Soup | Food, Fun & Faraway Places | Autumn just screams for soup. Even though I live in Florida now, when it gets chilly, this is one of my go-to soups. 6. Zesty Mexican Chicken Stew with Sweet Hominy | The Cozy Apron | I don’t know why I don’t use hominy in stews more often. It really gives this stew a fantastic flavor. 7. Lemon Rice and Chicken Soup | Jo Cooks | Lemon and chicken go so well together. 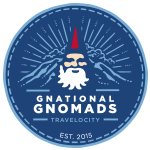 You’re going to want to add this one to your monthly rotation. 8. Tuscan Chicken Stew | South Your Mouth | We went to Italy about ten years ago and I just love how they go to the market every day instead of stocking up and eating week-old veggies. I swore I would shop every other day instead of once a week when I got home, but it’s so hard to make the time. 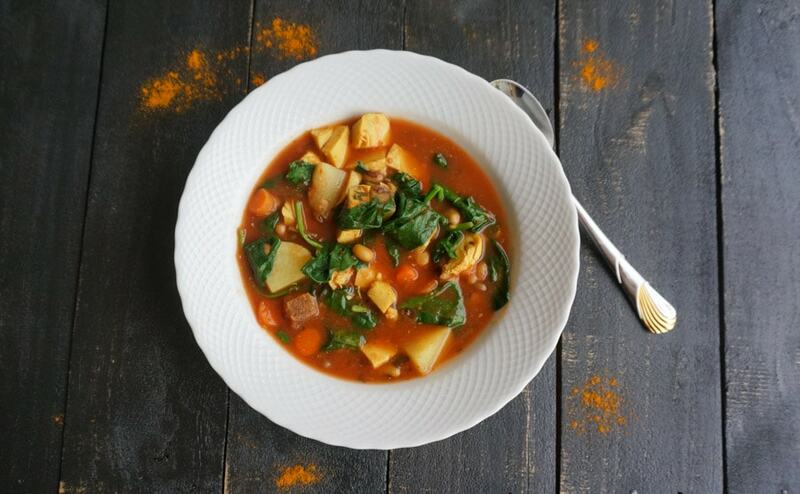 Use the freshest veggies in this stew and your family will rave! 9. Slow Cooker Salsa Verde Chicken Soup | Chelsea’s Messy Apron | I love salsa verde and this recipe combines it with chicken making a masterpiece soup! 10. Chicken Sausage Soup | Food, Fun & Faraway Places | The flavors of this soup meld together so well, and it’s really hearty. I love the link sausage, but you could use ground chicken or plain shredded chicken or turkey, too. 11. West African Chicken Stew | The Healthy Foodie | Have you tasted West African food? This recipe is from the book Well Fed and it has an entire section on sauces that will blow your mind. YUM! 12. Easy Roasted Poblano & Chicken Soup | Lexi’s Clean Kitchen | Who knew clean eating was also delicious! You’ll feel so good about feeding your family this healthy meal. 13. Chicken Peanut Stew | Averie Cooks | As Averie says, this soup is filled with so many different layers of flavor. It’s absolutely gorgeous, too! This one is definitely an inviting meal. 14. Easy Lemon Chicken Soup | How Sweet Eats | This lemon chicken soup has small pasta instead of rice, along with fresh ginger and herbs. So delicious! 15. Slow Cooker Thai Chicken and Coconut Quinoa Stew | Shared Appetite | My whole family loves Thai food, and this is going to be a regular meal on our table. I’m betting you’ll feel the same way. 16. 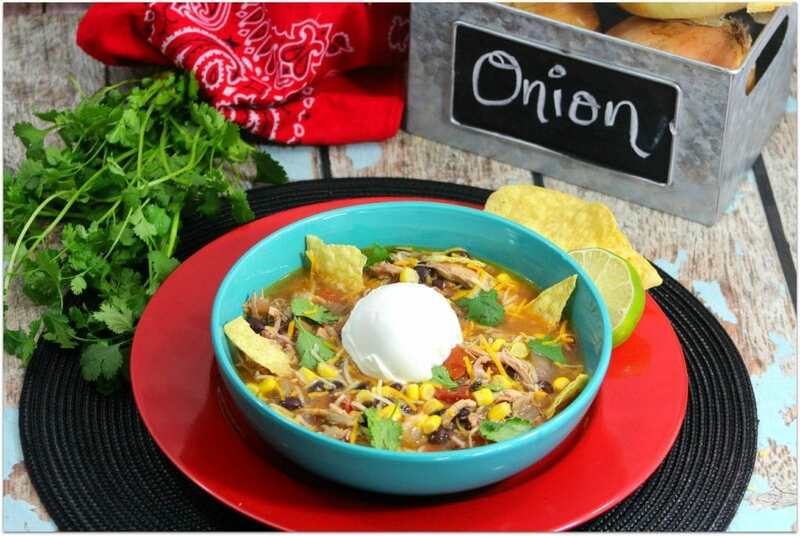 Chicken Tortilla Soup | Food, Fun & Faraway Places | My oldest daughter orders chicken tortilla soup whenever it’s on a menu, so I make it at home. It’s delicious and typically healthier than the versions she orders in restaurants. 17. Homemade Chicken Soup | Yellow Bliss Road | Looking for that yummy homestyle chicken soup? Here you go! A basket of rolls and a side salad and you’ve got the perfect meal. 18. Chicken and Peas Stew | Jo Cooks | Even kids who say they don’t like peas will gobble this one up! We always have fresh peas on hand for our lovebird. He is one spoiled bird. I might try this recipe with fresh peas. Why should the bird have all the fun?! I’m going to try it with other veggies, too. 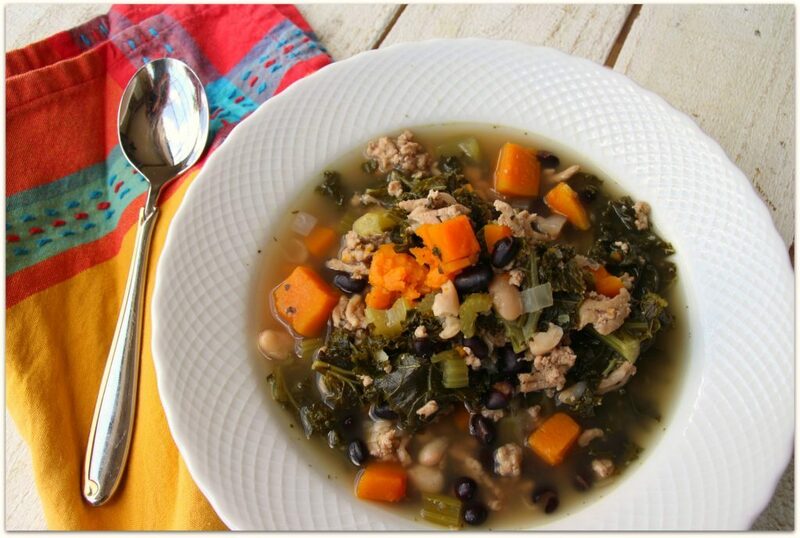 Some chicken soups and stews are just screaming for greens, and they add fiber and other nutrients as well as flavor. Add kale or spinach to a cup of the soup before adding to the whole pot to see how you like it. Make your own broth or if you’re in a hurry, buy bone broth or stock. It gives the soup a heartier flavor. Double the recipe and freeze it for later. I love making life easier. Dark meat is more flavorful than white meat. If you’re watching calories, use half dark and half white just to add flavor. Use turkey to switch things up! 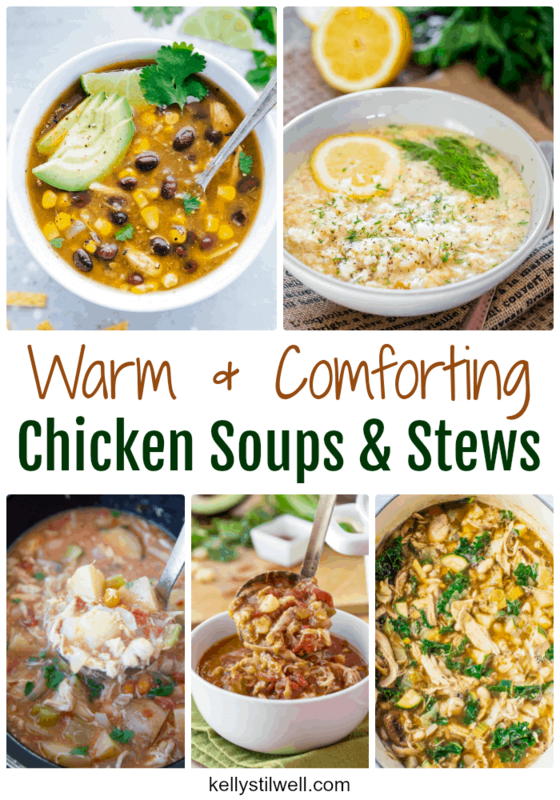 Please let me know your favorites of these chicken soups and stews. If you’re on the Weight Watchers plan, check out these chicken Weight Watchers recipes with points values.